Sergio Cocchia is the President of Crew Group of Companies, a hotel, spa and property management company. Mr. Cocchia oversees a varied business venture with his partner and wife Wendy Lisogar-Cocchia. Mr. Cocchia is proud to have served for 12 years as President of the Board of Directors of the Mediated Learning Academy and the Variety Learning Center, an independent school serving special children with a variety of diagnosis and learning problems. 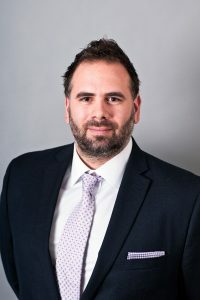 Mr. Cocchia also serves as President of the Pacific Autism Center Foundation, a family led initiative to establish an “Autism Spectrum Disorder Knowledge center” for the Province of British Columbia. As proponents of this project the Cocchia’s have secured a $20 million grant from the provincial government towards the completion of this $35 million initiative. The “Hub and Spoke” provincial centre is scheduled for completion winter 2015. In 2010, Cocchia’s were thrilled to be honoured with a Doctor of Laws (Hon.) from the Justice Institute of B.C. in recognition of their accomplishments and contributions to the province of British Columbia, in particular their shared vision in establishing the Pacific Autism Family Centre. Mr. Cocchia received the B.C. Community Achievement Award in 2012; the “Doorman of the Year” from the C.H.I.L.D. Foundation, the Queen Elizabeth Diamond Jubilee Medal and in 2013 was made a member of the Order of British Columbia. Wendy Lisogar-Cocchia is the Chief Executive Officer of the Century Plaza Hotel & Spa, Absolute Spa Group and Soluzione Spa Products. As Chair of The Vancouver Board of Trade 2011-2012, Lisogar-Cocchia is honoured to be the 5th and youngest female chair in the organization’s 124-year history. 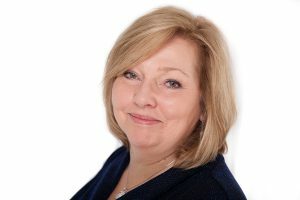 She is the first female trustee on the Vancouver Police Foundation, a current fellow at Royal Roads University and has served on the boards of Tourism Vancouver, Destination B.C and currently BCLC. Since 1987, Lisogar-Cocchia’s Women’s Media Golf Classic, has raised millions of dollars towards; Variety The Children’s Charity, the Vancouver Oral Centre for Hearing Impaired Children, the Children’s Foundation, the Down Syndrome Resource Centre, Mediated Learning Academy and most recently, the Pacific Autism Family Centre a parent-led initiative to establish a “knowledge centre for ASD” for the Province of British Columbia. As proponents of this project the Cocchia’s have secured a $20 million grant from the provincial government towards the completion of this $35 million initiative. The “Hub and Spoke” provincial centre is scheduled for completion winter 2015. 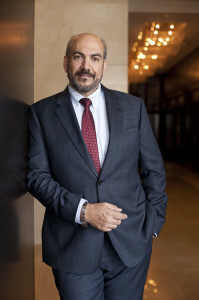 Lisogar-Cocchia has a long list of local and national accomplishments; the Variety Club – International Corporate Fundraiser of the Year & Angel Award, Sales and Marketing Executive of the Year, Leading Spas of Canada’s the Lifetime Achievement Industry Award, Business in Vancouver’s Top 40 under 40. Lisogar-Cocchia’s an honorary doctorate (Honoris Causa) from the Justice Institute of British Columbia, the British Columbia Community Achievement Award and the C.H.I.L.D Foundations Honorary Doorman of the Year and in 2013 was honored with the Queen Elizabeth Diamond Jubilee Medal. In 2015 Wendy was inducted into the Order of British Columbia our province’s highest civilian honour. Jack McGee recently retired as President of the Justice Institute of British Columbia (JIBC) after serving in the Canadian Forces, and in post-secondary education as a Dean (George Brown College) and President (St. Clair College) in Ontario. As Squadron and Mission Commander he flew the Royal Family (including Their Majesties Queen Elizabeth II and the Queen Mother) and commanded CFB Comox prior to his roles in educational leadership. 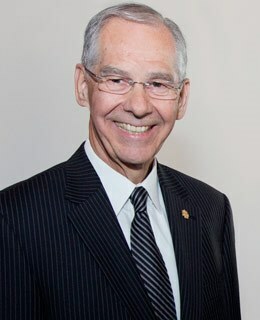 In 2012 he was recognized by the Premier and Minister of Justice of British Columbia for his accomplishments in public safety and post- secondary education and for “giving back” to the community on charity and community boards. 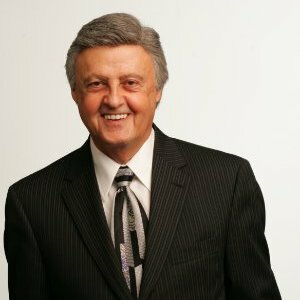 Jack remains active on community and professional boards and in public speaking. He holds a Bachelor of Arts (St. Mary’s), a Master of Public Administration (Auburn), completed doctoral courses in International Relations (York) and was presented an Honorary Doctor of Laws (Windsor) for his work in education and the community. He currently serves on the Boards of the West Vancouver Police, E-Comm 911 Emergency Communications, the Sovereign Order of St John (supporting Hospice) and the Pacific Autism Family Centre Foundation. He was awarded the Canadian Forces Decoration, the Special Service Medal (NATO), and the Queen Elizabeth II Diamond Jubilee Medal for service to Canada. Grayden R. Hayward is the President of Grayhawk Management Inc. a Vancouver based company providing executive level management services. From 2009 to 2013 Grayden was assigned to the Vancouver Board of Trade as Senior Advisor and as Interim CEO in 2010/11. Previously he was President of SEASSET Management Inc.; CEO of the Carrera Group of companies, Executive Vice President and CFO of Bentall Corporation and Vice President of Trans Mountain Pipeline Company Ltd. His distinguished public sector career included terms as BC Deputy Minister of Municipal Affairs and Tourism, Recreation and Culture; Assistant Deputy Minister of Alberta Transportation; and City Administrator in Kamloops and Nanaimo, BC. 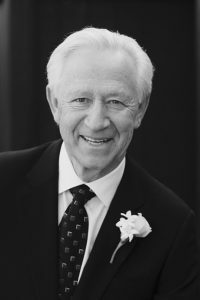 Throughout his career he has been active in many community organizations including several years as a Director and Chair of the Finance Committee of the Vancouver International Airport Authority, Director and Secretary Treasurer of The Vancouver Board of Trade, and Chair of the Vancouver Symphony Society. In 2002, he received the Queen’s Golden Jubilee Medal, and in 2006 was elected a Fellow of the Institute of Chartered Accountants of BC. In 2014 he was awarded Honourary Lifetime Membership of the Vancouver Board of Trade. In addition to his service at Pacific Autism Family Centre, Mr. Hayward is currently a Director of The Vancouver Board of Trade Foundation; and Corporate Secretary of the Rix Center for Corporate Citizenship & Engaged Leadership. Peter Raptis is the Principal at Skare Properties and a Managing Partner in his restaurant group that includes The Refinery, The Pawnshop YVR and The Wooden Spoon Brunch and Bistro co. The Businesses are located from Downtown Vancouver to White Rock BC. He is also the father to two boys Quinn and Mikael. Mikael was diagnosed with Autism at the age of three, and ever since Peter has dedicated his time and energy to advocating for Mikael along with other children who don’t have a voice in the fight. He works to give them all the best opportunity to have an amazing life. Peter has served on a number of boards and most recently is the Immediate Past Chairman of the Downtown Vancouver Business Improvement Association Board of Directors and still Chairs the Nomination Committee. He also Coaches and offers governance to the local Lacrosse, Baseball and Soccer Associations where he lives with a strong commitment to inclusion for all children with special needs. Peter is also involved with his sons’ school as a member of the PAC executive and a representative of special needs student services at the school district level. Art, an educator, economist and businessman with forty years of experience in related fields, taught mathematics in public school, lectured in economics in university and spent thirty years in the global energy business with a Vancouver-based firm before joining the board. Throughout his career, Art served in many capacities on dozens of boards in across the public, private and non-profit sectors. A passionate supporter of education, arts and cultural institutions, through his work on the board, Art is pleased to be playing a key role supporting individuals and families affected by autism. A leader in Francophone Education, Mrs. Renée Popov Watters has served on various regional, provincial and national committees and boards dedicated to the promotion and delivery of education. In addition to her involvement at the local level in the Greater Vancouver Area, she has been a member of provincial committees dedicated to the improvement of education, was Chair of the Conseil scolaire francophone de la Colombie-Britannique (British Columbia’s Francophone School Board), Vice-President of the Federation of Francophone Parents, Founder of the first Regional Association of Parents in British Columbia, Spokesperson and Co-Founder of the French-language Coalition in British Columbia, represented the province on the National Federation of Francophone School Boards and the National Commission of Francophone Parents and served on British Columbia’s Provincial Council. As president of the Education Committee, she championed inclusiveness and strongly supported policies and practices in education, training and employment for students with disabilities and special educational needs. In May 2004, the Vancouver Board of Parks and Recreation presented her with the Volunteer of the Year Award in recognition of her outstanding contributions to the Vancouver community. In recognition of her great contributions to the promotion and development of French-language education in Canada, Mrs. Popov Watters received l’Ordre des francophones d’Amérique. She was also inducted in the order of the Compagnie des Cent-Associés francophones. In 2014, she was recognized nationally as one of the 100 most remarkable women in French Canada in the past century. As Regional Managing Partner of KPMG, Walter leads BC’s largest and oldest professional services firm, operating with over 1,200 people in 12 offices across the Province. Walter also serves on KPMG’s National Clients & Markets Committee, overseeing client service and market development across Canada. In his role, Walter leads conversations with clients, business leaders and organizations on business, social and economic issues, including in the area of innovation and business transformation. 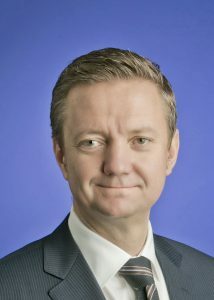 Walter is also often called upon by clients and industry groups to speak and advise on technical and policy tax issues. Previously, Walter was KPMG’s Partner-in-Charge of Tax in GVA for nine years, and as an active tax partner he continues to provide tax advice to a wide variety of clients across sectors, with a focus on real estate. Walter was recently recognized as a Fellow of the Chartered Professional Accountants (FCPA), currently sits on the Executive Committee of Business Council of British Columbia, is a past Governor and Executive Committee Member for the Canadian Tax Foundation, and past Board Member and Finance Committee Chair for UNICEF Canada. 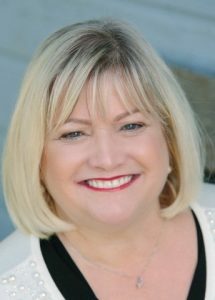 With more than 30 years’ experience, Dawn has a broad business background in finance, human resources, and both business and non-profit management. In 1999, looking for new challenges and the opportunity to help make a difference, Dawn left the corporate world and joined the Down Syndrome Research Foundation (DSRF). From early beginnings in a trailer, to a purpose-built family centered facility, Dawn helped the organization grow from a team of 2 to a multi-disciplinary, dynamic team of 25. Her most notable achievements during her 17-year tenure were the completion of multi-million-dollar capital campaigns to support important Down Syndrome education and research, and the reorganization of staffing and services to become more financially stable, and a leading non-profit in British Columbia. Now, Dawn has joined the Pacific Autism Family Network (PAFN) in a leadership role to oversee the growth and operations of the GoodLife Fitness Family Autism Hub. She’s thrilled to be combining her expertise to build on the innovative vision and mandate of PAFN’s one-of-a-kind ‘Hub and Spoke Model’. Dawn is an energetic, industrious and, above all, passionate woman committed to the disability community and supporting children of all ages and their families. 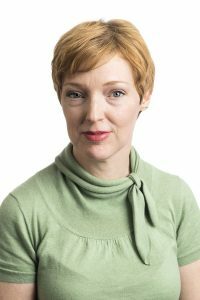 Upon obtaining her MD training, a certification in Paediatrics and accreditation in Medical Genetics, Dr. Lewis joined BC Children’s and Women’s Hospital where she is a Senior Clinician Investigator with the BC Children’s Hospital Research Institute, and a Clinical Professor in the Department of Medical Genetics, UBC Faculty of Medicine. Over the past 25 years, as a clinician and investigator, Dr. Lewis has provided clinical care to thousands of individuals living with Autism Spectrum Disorder (ASD) and all related disorders. Dr. Lewis’ leadership in research is well illustrated by having authored over 340 publications, including 135 peer-reviewed papers describing new autism subgroups, syndromes, genes or causative mechanisms for these conditions. 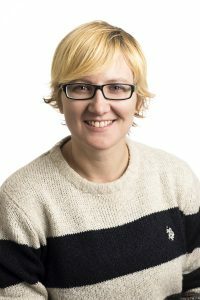 She also co-developed a joint Developmental Genetics Clinic at Children’s and Sunnyhill Hospitals, and is a partner in TIDE (the Treatment for Intellectual Disability Endeavour), both of which have demonstrated the need and effectiveness of “one-stop” interdisciplinary assessment and treatment opportunities for individuals and their families living with ASD and related disorders. 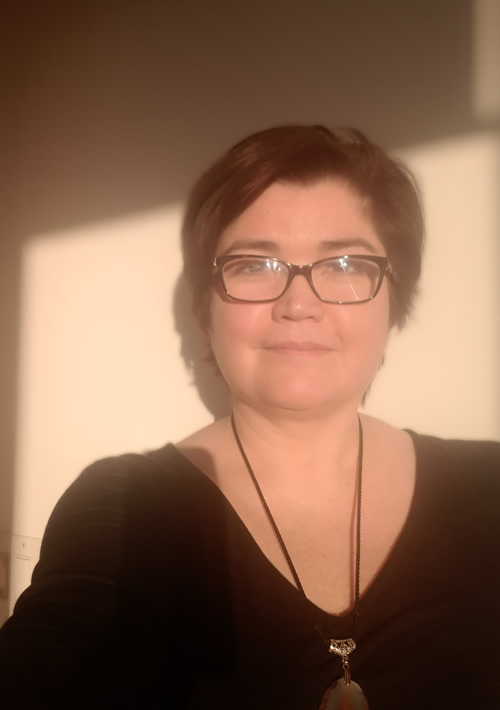 Anjela has worked in the community outreach sector for over 20 years, including working with families in the Downtown Eastside, and individuals with ASD. Her education in Urban Planning and Sustainable Community Development has been a strong asset in leading innovative projects, analyzing gaps in services, and collaborating with diverse organizations. Anjela’s past work with marginalized populations continues to inspire her to think outside the box and develop unique solutions to challenging issues. 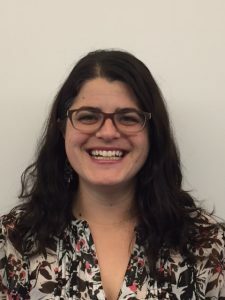 Anjela will be putting her experience and unique skill set to work in the delivery of Ready, Willing and Able; her role focuses on connecting individuals, families and service providers to employment opportunities. readywillingable.ca – to read more about the RWA employment initiative. In her spare time, Anjela fosters rescue dogs with the help of her teenage daughter, and loves to take them on adventures in the great outdoors. Born and raised in the Comox Valley on beautiful Vancouver Island, Rebecca has always known her calling was to help others. With over 15 years experience, Rebecca has worked in many different professional capacities with people with ASD. She spent the earlier years of her career working as an educational assistant supporting students with special needs in school settings. In addition, Rebecca worked as a support worker with many individuals both at home and in community settings. She spent two years overseas volunteering at an orphanage for children with AIDS and HIV in Chiang Mai, Thailand. These precious children have captured a permanent place in her heart. After obtaining a BA in Child and Youth Care, Rebecca worked as a Mentoring Coordinator for Big Brothers of Greater Vancouver. Rebecca holds a deep commitment to the value of mentoring as she continues to volunteer as an in-school mentor once a week spending time with her little buddy. Rebecca returned to school and completed her Masters in Counselling Psychology and holds the designation of a Registered Clinical Counsellor. Rebecca is delighted to be working at PAFN, as she feels most alive when she is supporting others to reach their fullest potential. She considers it a privilege to be working with people with ASD and desires everyone to live full, meaningful lives. In her free time, Rebecca loves spending time with her family and friends, baking, reading and gushing over the nieces and nephew. SF, who is originally from Toronto, joins the PAFC team as a Facilitator for the EmploymentWorks Canada program. She has a Bachelor of Science in Special Education and Teaching from Missouri State University. SF is the Co-Founder of Coach Family Services, a volunteer based information sharing network whose projects include support groups, public speaking events, and disability/family support. When she is not working and advocating for the autism community, she is likely playing her guitar as music is her life outside of work. As an immigrant and only child, Joyce was always involved in her school and community in her spare time, mostly because she wanted to make friends and avoid being bored at home. Those experiences developed her sense of identity and belonging, as well as her interest in how quality of life is improved for individuals and at the community level. While completing her BA studying urban geography and health studies, Joyce applied textbook theories and asset-based community development skills to multiple community-based initiatives through the UBC Centre for Community Engaged Learning. Joycehas worked at the Association of Neighbourhood Houses BC in community development, settlement, and employment programs and is still involved with various community-based newcomer and citizen engagement work. 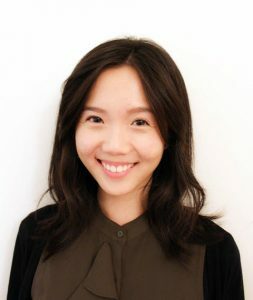 Having examined issues of wellbeing and disability from a social determinants and justice perspective, Joyce is excited about empowering individuals and creating more inclusive communities through her role with the GO Group. To this day, Joyce still loves making friends and getting involved in the community, and is often found learning in various formal and informal classrooms! After more than twenty years working one-on-one with deaf/autistic children and youth, Heather’s desire began to shift from supporting children in an educational setting to supporting families as they navigate the complex journey of an autism diagnosis. The opportunity to manage the Prince George Spoke was the perfect next step in a career that has involved being a communication facilitator and special education assistant in the classroom; teaching music to individuals with all ranges of abilities and diagnoses; supporting home-schooling families with extraordinary children; and many years as a first responder with both BCAS and a community fire station. Heather and her family love to spend time outdoors in the beautiful country of northern BC, be it on mountain bikes or snowboards, as well as volunteering to play music at the New Life Centre, serving meals at St. Vincent de Paul’s, and fostering rescue dogs for the Humane Society. 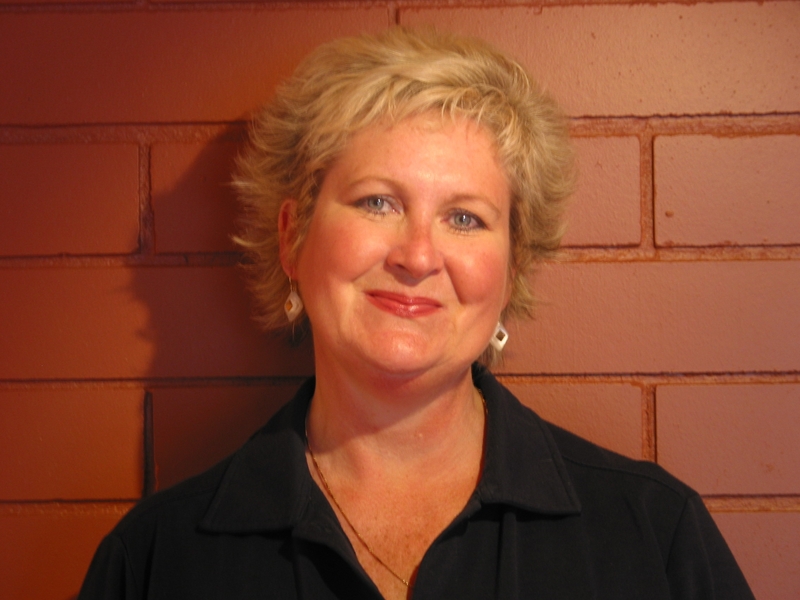 Carmen has a wealth of experience, having been in the field of social work for a number of years. 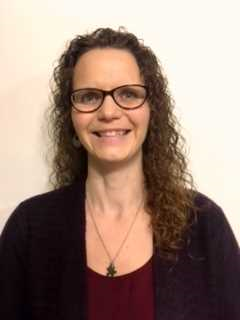 She completed work for her Masters in Social Work on “Improving Outcomes for Special Needs Children and Their Families” in the community of Kelowna. She has two young men on the autism spectrum and is very passionate about assisting to improve the lives of people with diversabilities in the community. She is thrilled to be a part of the Pacific Autism team and is certainly well suited to the role. Carmen invites you to contact her or drop into the Spoke soon. She would love to hear from you.